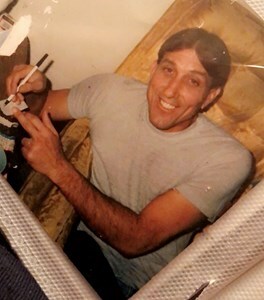 Newcomer Family Obituaries - David M. Waterhouse 1952 - 2019 - Newcomer Cremations, Funerals & Receptions. David “Homer” Waterhouse, 66 of Denver, died Friday February 1, 2019, at home in Denver, Colorado. He was born in Duluth, Minnesota, November 20, 1952, to Lawrence and Mary Waterhouse. He worked as a truck driver most of his adult life. David was an outdoorsman. He loved fishing and hunting. Along with being a handyman, Homer could fix anything. He was loved and will be sincerely missed by his family. David was preceded in death by his father, Lawrence Leonard Waterhouse and mother, Mary Waterhouse (Miscevich). David is survived by his wife, Karen Waterhouse of Dawsonville, GA.; children, Heather Lopez of Denver, CO, Michael Waterhouse of Denver, CO, Jason Waterhouse of Denver; brothers, Greg Waterhouse of St. Paul, MN, Llyn (Cynthia) Waterhouse of Litchfield, MN., Scott (Jan) Waterhouse of Woodbury, MN., Gary Waterhouse of St. Paul., of Fort Wayne, IN. ; Grandchildren, Amber, Romeo, Nathan, Jasmine, Liyanna, and Areanna. ; and Great Grandchild Lily. Funeral services will be held at 12 pm Wednesday February 13, 2019 at New Beginnings Church with Pastor Bernie of New Beginnings Church, officiating. Viewing will begin at 11 am at the church. Burial will follow at Golden Cemetery. Arrangements are by Newcomer Cremation, Funerals and Receptions. Add your memories to the guest book of David Waterhouse. So sorry for your loss. David was a great truck driver and always had a great smile. Wish we would have known about the service. You will be missed deeply!! R.I.P. My Faraway Friend, Until We Meet Again.